Learn How to Mow Your Lawn To Health! 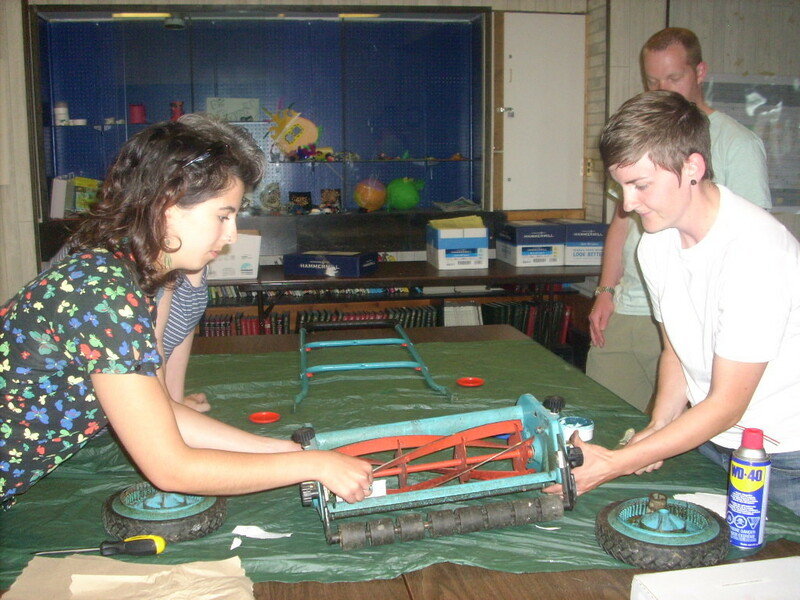 Mow Better Clinics teach participants how to sharpen their reel mowers (push mowers) and the tips and tricks to mowing your lawn more effectively. Sharp mower blades cut grass more efficiently than dull blades, which tear the grass. As well, sharp blades make your reel mower easier and faster to use, and lead to the overall improvement of the health of your lawn. Workshops are free to the public. Feel free to bring your reel mower to the workshop, as there is often time for workshop participants to have their mower blades sharpened. It is recommended that mower blades should be sharpened at least once a year. Reel Mower sharpening kits, which will be used during the workshop, are available for free to rent from the Manitoba Eco-Network. Sharpening kits are also available for purchase at Lee Valley Tools and Canadian Tire.